Listen to the story, read by Catrin Gruffydd Jones 2007. ‘Winnie The Witch’ by Valerie Thomas, illustrated by Korky Paul. 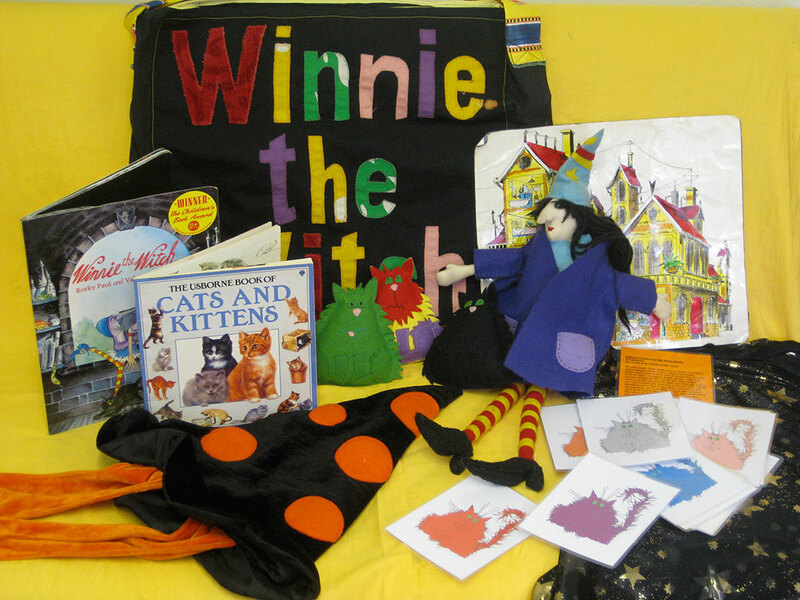 Winnie the Witch lives in a black house. She has black chairs and black stairs, black floors and black doors. The trouble is that Winnie’s cat, Wilbur, is also black. After sitting on him and tripping over him, Winnie decides to turn Wilbur into a green cat. But then he goes out into the long grass! Winnie is going to need a little magic to make sure she can always see Wilbur . . .